A new national biophotonics center will use light-based technologies and techniques to advance methods of detecting, sensing, identifying and understanding biological properties and processes at the cellular, subcellular and molecular levels. The Center for Biophotonic Sensors & Systems (CBSS), a joint venture by the Boston University Photonics Center and the University of California, Davis, Center for Biophotonics Science and Technology, was designed to enable commercial benefits in applications that include pharmaceuticals testing, drug effectiveness monitoring, water and food safety testing, and disease diagnosis. Both universities have well-established centers for photonics research as well as professionals who have experience working with industry on technology development and transfer. 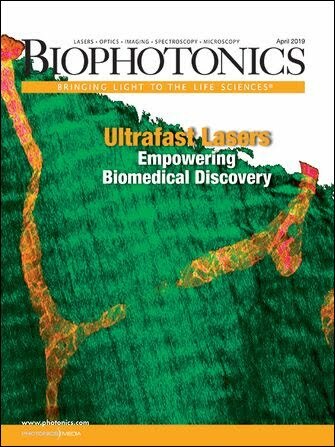 “The ultimate goal of the center is to use photonics as a driver for early disease detection, reduction of health care costs, speedier and more effective treatment through personalized care, and better patient outcomes,” said Thomas Bifano of Boston University, the first director for the CBSS. Drug efficacy testing and patient drug effectiveness monitoring are two of the major focal points of the new Center for Biophotonic Sensors & Systems, a joint venture by Boston University and the University of California, Davis. The other major areas of focus are disease diagnosis, and water and food safety. Funding for the CBSS will come from a National Science Foundation (NSF) Industry/University Cooperative Research Center award, one of 50 such cooperative research center prizes across the country. This will be the only center focused on biophotonic sensors. The objective of the NSF program is to foster collaborations between industry and universities. To this end, a meeting to determine initial research programs was scheduled to be held in late April at Boston University. Industry members were invited to attend and participate in “precompetitive collaboration” with other companies, engage graduate students in discussions, and get a first look at enhanced technology transfer opportunities, rights to license program-related intellectual property, and each university’s research as well as other NSF programs that could offer supplemental funding. The center’s framework provides significant potential for industry partners and faculty members to collaborate on basic biophotonics research, said Gabriela Lee, industry liaison at the UC Davis photonics center. She added that the CBSS will allow graduate and undergraduate students to work toward engineering and science careers, focusing specifically on biospectroscopy, single-cell capture flow cytometry, 3-D live-cell superresolution microscopy and adaptive beam control for deep-tissue two-photon imaging.